Tim is a recognized authority in plastics technology and machinery with a brilliant career spanning more than 40 years and a Certified Plastics Technician (CPlasT) by the Society of Plastics Engineers. 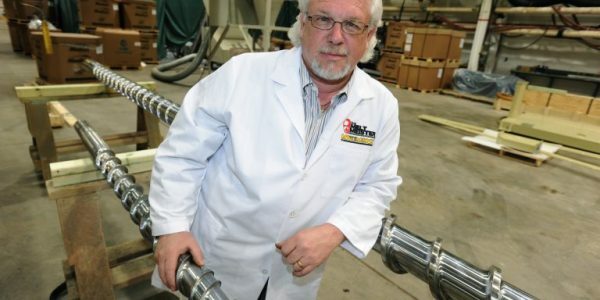 He has designed thousands of screws that have been used in all areas of single-screw plasticizing, such as extrusion, blow molding and injection molding for plastics, rubber and non-plastic materials. Numerous patents have been issued on his inventions in screws, screw mixers and other products and processes. He also has extensive expertise, knowledge and experience in heat transfer rolls used in the plastic sheet and paper laminating fields. Prior to re-starting his consulting business, Tim was the Global Corporate Technical Advisor for Xaloy, Inc, and prior to that position Tim was the Chief Technical Officer for the corporation. Tim joined Xaloy with this company’s acquisition of New Castle Industries in 2003. Earlier he served in leadership positions in engineering, research and development at Spirex Corporation, Conair, Inc. and NRM Corporation. For three years he was an independent consultant in plastics process engineering with major clients engaged in extrusion, blow molding and injection molding. Tim started his career in the plastics industry in 1974 as a machinist at New Castle Industries, Inc. (presently Xaloy, LLC). He spent four and a half years working on the shop floor operating various pieces of machine shop equipment, which included lathes, mills, and cylindrical grinders. He has hands-on working knowledge of the chrome plating process and various methods of welding, which include TIG, MIG and PTA. He was promoted from the shop floor to an engineering draftsman and returned to college in 1978 to complete his mechanical engineering degree at Youngstown State University. Tim Womer has presented many lectures for both colleges and businesses around the world in the area of screw design and plastic processing, in both extrusion and injection molding. He has presented technical papers at many annual technical conferences (ANTEC) of the Society of Plastics Engineers (SPE) and at conferences organized by the Wire Association and TAPPI (Technical Association of the Pulp and Paper Industries). Tim was the President of the Society of Plastics Engineers for the 2006-2007 term. 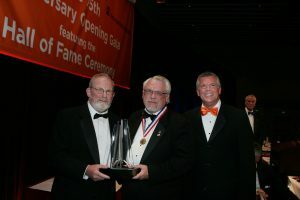 He is a “Fellow of the Society” sponsored by the SPE’s Extrusion Division, a Distinguished Member of the Society, and in 2010 received the Honored Service Award which is only give to less than 5% of the SPE membership. Tim is only one of five individuals in the 70 year history of SPE to receive all three of the top honorary awards. Tim has also served on the Executive Committee of the SPI / NPE Show Committee from 1995 thru 2005, included Chair of the Conference and Seminar Committee for both NPE (National Plastics Exhibition) and Plastics USA, which are sponsored by the Society of Plastics Industry (SPI). He was facilitated as the liaison between SPE and SPI in the area of conferencing for these two societies. Presently, Tim serves on the Educational Committee for the 2012 NPE Show. Tim is also a prestigious member of the Plastics Pioneers Association which has a chartered membership of 250 distinguished members.